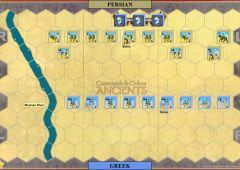 Delian League used the initiative gained in previous years and the leadership of Cimon to roll back the Persian Empire throughout the eastern Mediterranean. 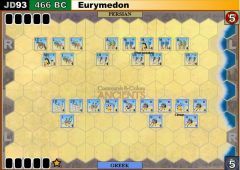 Cyprus, having previously resisted Greek control during the Ionian Revolt, now stood as a prize to be taken by the emerging Athenian empire. Cyprus was divided into factions that supported both the Persian Empire, to whom the island had contributed numerous ships during the invasion of Greece in 480, and pro-Greek city-states that had previously attempted to lead an island-wide revolt a half-century earlier. 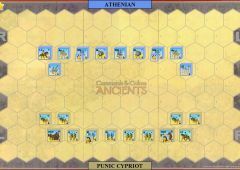 In a battle that likely resembled the one fought on Cyprus during the Ionian Revolt, the hoplite infantry of the Athenians squared off in battle against the more numerous, but less heavily armed, Punic Cypriots who this time fought without their Persian allies. 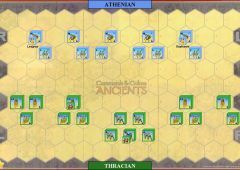 Othismos probably carried the day, as the Cypriots apparently were unable to keep their opponents at a distance with their skirmishers and chariot forces, and broke before the hoplite onslaught. Although the Greeks won a naval battle that occurred simultaneously with their victory on land, the resulting triumphs did not place Cyprus under their control. 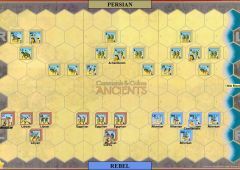 Instead, the dual victories seem to have ushered in a period of relative peace between the Delian League and the Persian Empire. Soon, the largest threat to the Athenian-led Delian League would be the enemies they were making in Greece itself.